Kill Newest snap trap technology. 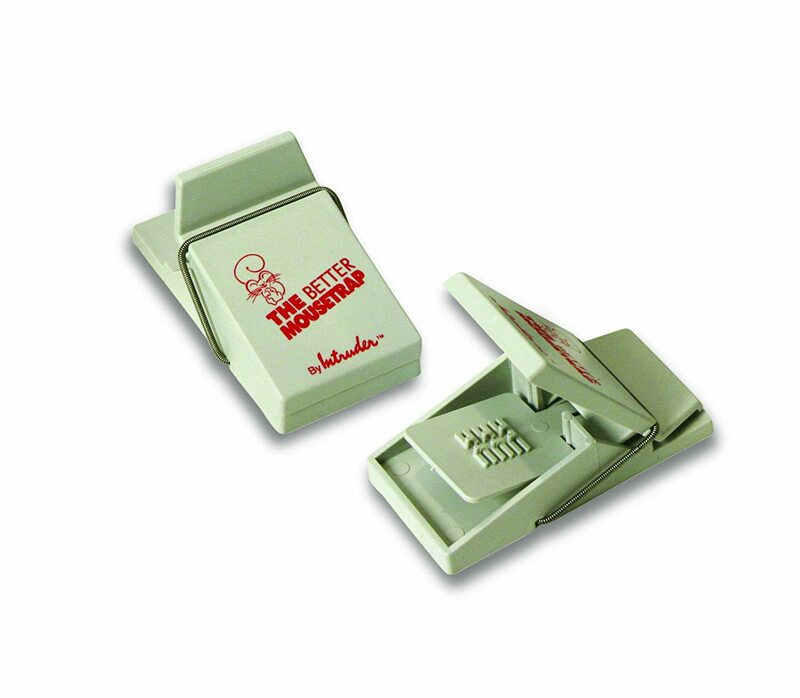 Kill The most trusted name in mouse traps. Kill No handling gross dead mice. As far as I’m concerned, these are the only two humane ways to deal with your rodent infestation. Please do not use these! In my opinion, these are the most cruel, and least effective options. The mouse can be stuck for days, suffering before succumbing to hunger or thirst, before finally dying. Don’t let the poor buggers suffer too much, the best mouse traps today provide either an instant kill or a humane catch and release. I don’t want mice in my house either, but I empathize with them as they are just trying to survive and find food. I do not want them to suffer too much before meeting their maker. Poison is a very bad and inhumane way to deal with your rodent problem! After a mouse ingests the poison, it can take a full 24 hours or more to actually succumb and die. The actual method of lethality that the poison takes is a slow internal hemorrhaging, or bleeding. Furthermore, if a another animal, including but not limited to your pets, eat the dead mouse… They could become poisoned and very sick as well. Poison is bad for the environment, so if you care about your home and surrounding yard in the long term do not risk poisoning the earth with these kinds of toxins. Not only is this slow death cruel, the real problem is that you may never find the body. Mice often live inside the walls, or floors of our house (which is why they are so hard to spot), so if it’s in one of these spots when it passes, you’ll probably never find it’s rotting little body. I know this is super gross to think about. Trust me, you do not want to deal with that mystery smell for months after the fact. So for all of the humane reason, and the gross-out factor, I steer clear of poisons. Poison is ineffective, not all mice and rats will actually eat the baited poison in the first place. Some are able to sense the danger and will steer clear from it in the first place. Some others who do end up eating the poisoned food, will manage to stave off the effects and will not be killed. They might live a sick and damaged life after the fact, but you can bet the farm that they will live long enough to reproduce and therefore continue your infestation. Some of the best mouse traps these days are actually electric. In the past, technology with electric traps was not that great in your actually less effective and less humane than a simple snapping mechanism. Since then, times of changed and companies have improved their technology to make these a more instant and surefire mouse killer. 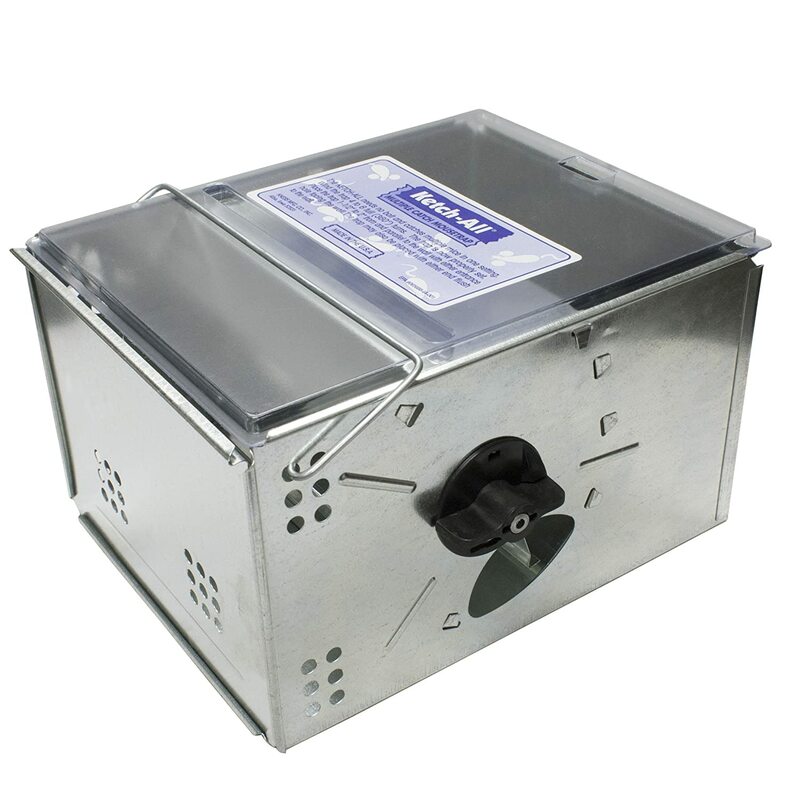 Electric traps use a small chamber that the animal must enter, which is great for the safety of yourself, your children and your pets. I was very scared and has attends to have a live her set up in my home, but the quality control of trusted long-term company is making these things such as Victor has changed my mind. Make sure that you have mice and not large rats before setting these out. The first problem with larger rats will be that they might not even fit into the zapper in the first place. The second problem is they might be large enough to withstand the shock, I have even heard of some rats being temporarily catatonic before restarting their own hearts and running off.imagine that, some sort of a zombie rat living in your home ready to terrorize you for another day. The electric models are the best mousetraps in terms of reusability and longevity. 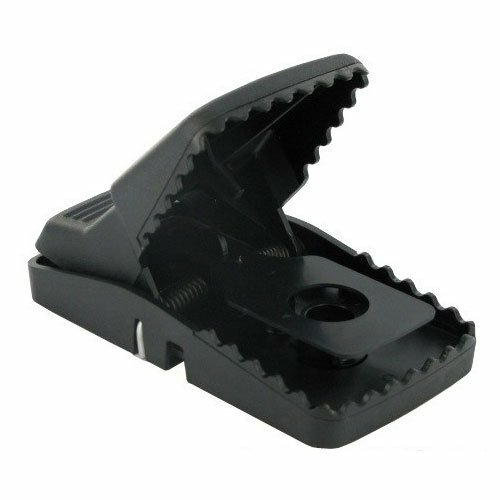 Most snap traps these days are fairly durable, and will not break on the first or second mouse killer operation. But they do rely on a raw mechanical force, so there is always a chance that they will break under the pressure of snapping shot. This is not the case with electric traps, as there is no mechanical trauma to the device itself in between kills. Even though they are a little more expensive upfront, it is well worth it when you consider the long-term value and lifetime cost of ownership based on how many mice you can kill with one device. The success rate of an electric mouse killer is very high. Unlike some of the lower quality snap style devices, you will nearly never find a ‘half dead’ mouse in your electric trap. Even the best snap tracks can very rarely perform an incomplete kill, which is always a very sad thing to see and should be avoided at all costs. Incomplete kills aside, you will never have a mouse grab the bait and run with an electric trap. Once they enter that small tunnel, they are not getting out again. I know it’s a tough situation to be in. I can relate. A full blown infestation is no laughing matter. When your house is overrun all you want to do is get those little creatures out ASAP. Humane or live traps are also known as ‘catch and release’ designed units. A live mouse, trapped without food or water for several days will be a dead mouse. At that point, it is arguably more humane to just kill them with a swift neck-breaking (sorry if that’s morbid) . If you have live traps out, please check them daily for ‘prisoners’. 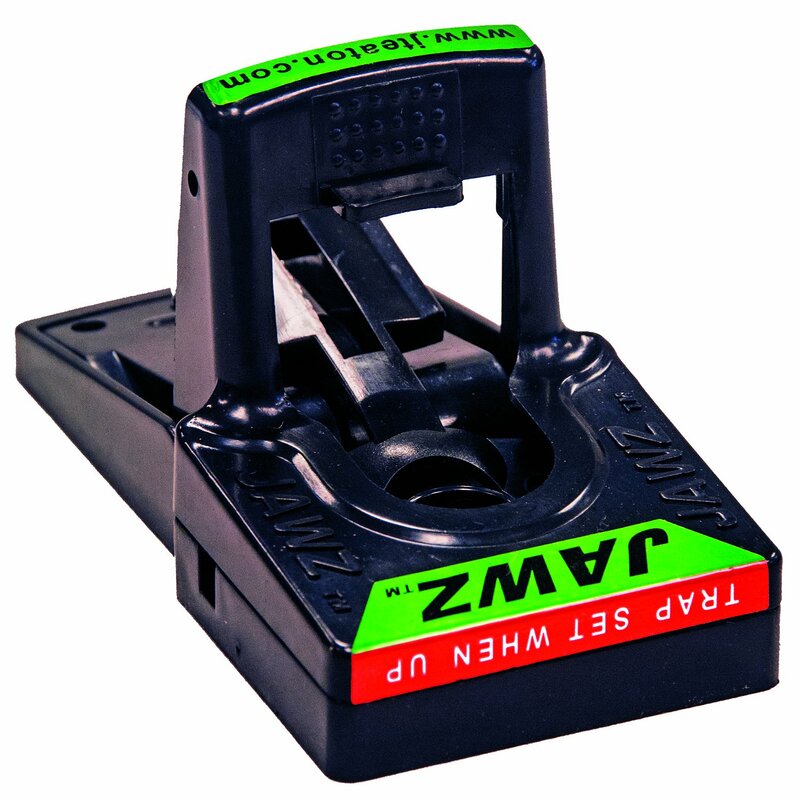 Even the best mouse traps have the limitation that they only kill or capture, they do not deter future intrusions into your house. If you release a rodent too close to your home, where it has already made its nest, it will in 9/10 cases go right back inside. I hope you’re not too squeamish. The best thing to do is get in the car with the trap and drive out at least a mile or further. An inhabited area would be ideal. You do not want that the furry fellow becoming someone else’s problem! In some situations, a kill may be necessary (sad truth). In some regions, such as New Zealand, mice are non-native and have only been introduced by humans in recent years. This makes them an invasive species, who can wreak havoc on native animals and plants… and sometimes even drive them to extinction. For those of us who don’t live ‘Down Under’, the potential health consequences of having a rodent infestation are still a real threat. Mice get into our pantries and cupboards and leave their feces to contaminate our food supply. Sure, the animals are just trying to eat… but at some point, you have to prioritize the health of you and your family and get rid of them. 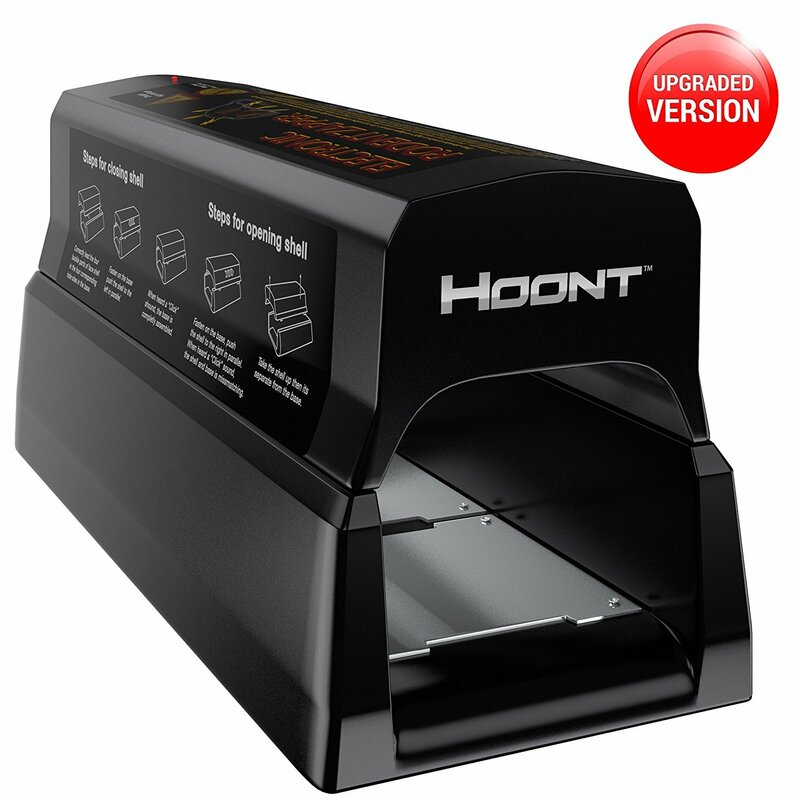 The best mouse traps are the most humane ones, but if you’ve decided that the kill is necessary, then choose something high-quality that will do the job quickly and correctly. I would love nothing more than these to be a viable option. If I could just keep the pests out from the beginning, and not have to kill or trap them, that would be the ideal situation for me. 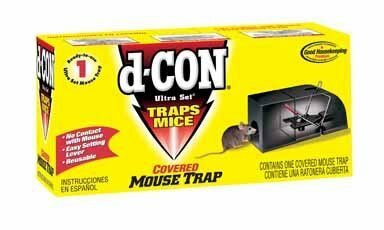 For this reason, these ultrasonic devices did not make our list of best mouse traps. They seem to get great feedback on keeping insects and spiders away, but not so much for mice and other rodents. If you already have mice nesting inside your house, there is a very little chance of this actually working. Short answer: Peanut Butter. Mice love the taste, and it is sticky so they have to stay put for a while to eat it. Other types of food can be quickly grabbed, which either results in the animal getting away or worse can cause an incomplete kill. Either chunky or smooth will work, just make sure that it’s a kind that you can easily clean up if it gets onto nearby surfaces. If you have pets, be careful that they do not have access to the trap. Dogs and cats alike love peanut butter, so please for the love of god, don’t let them get snapped or electrocuted or whatever else! The best mouse traps are designed to compensate for this, by having a small closed chamber that pets and kids cannot access. Sometimes you just gotta hire a professional. If you’ve tried and been unsuccessful in ridding yourself of mice after multiple tries, it’s probably time to bring in a professional pest control company. Google will usually do the trick here, but I strongly suggest doing some more research like looking up the company on Yelp or Facebook. Oftentimes, an honest group of reviewers can bring out the truth about a company. The professional will advise you of your particulars, and provide the best mouse traps for your home accordingly. Some of the better companies can even build ‘exclusion systems’ which will keep pests from re-entering your house once they are removed. It is extremely hard to seal-out your house this way yourself, so ask your local pest control company if this is something they can do for a reasonable price. If being humane is important to you (it is to me), just make sure that the company explains their trapping/killing methods with you before hand. Get a cat. 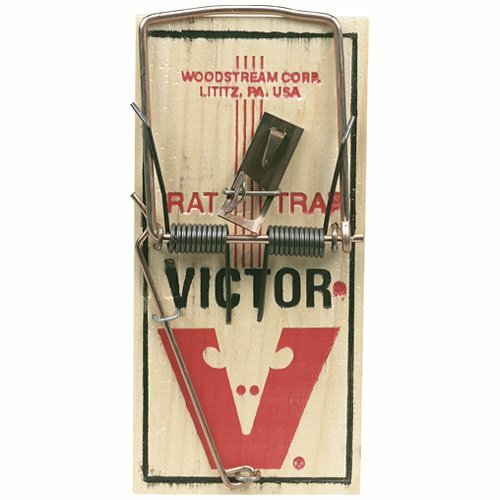 People have known for centuries that nature’s best mouse traps are our furry feline friends. You might not be a cat person now, but that’s what most people who have never owned a cat think. Cats are not immediately affectionate like dogs, so people who are unfamiliar with their unique quirks will often misinterpret their behavior as aloof or unfriendly. In reality, it takes living with a cat before you form a unique attachment, that only other cat owners will understand. Of course, if you are deathly allergic, then this may not be an option for you. If you let your cat go outdoors, there’s a chance that mice will never even make it inside the house. There is, of course, the famous exception of the cat bringing in the dead mouse and presenting it to you as a ‘gift’, which I’ll admit can be downright horrifying! A dead mouse is gross no matter what, but personally letting my cat take care of them than having to set and clean up after traps. Circle of life, I guess. How to seal off your home to prevent a future incursion of rats and mice. This is a very thorough job that we always recommend you get a professional to manage. It entails doing a complete walk around inspection of your home including the foundation, all vans, all windows and doors, and any other entry points that a past could possibly enter through. One quick fix that you could implement right away is to make sure that the sides of your house are not touching any brush, bushes, long grasses, or shrubs directly. This is actually a universal pest-control principle and is a great thing to do if you have trouble with insects or spiders or the like as well as mice. A lot of critters in the past hate the smell of mint plants. Mint is a very hearty herb that is easy to grow in any climate, consider visiting your nearest home and garden center and picking up a few mint plants to place around your home as these can be an all-natural, non-toxic, pet safe deterrence for rodents. Make sure that your food storage is up to snuff. Keep all long-term green and flowers completely sealed in airtight Rubbermaid or Ziploc-style containers. Don’t be complacent in using plastic bags either as they are no match for the sharp incisors of the rodent family. Sweep and vacuum your floors regularly, as many small problems that you often don’t even think about can be a food source that will attract mice into your home. Keep your trash storage secure outside the home and make sure you have a heavy duty trash can, not just trash bags, as again these can be easily chewed through by our furry friends. Did you know that house mice are small enough to squeeze under the crack in your front door? Yes, even though it looks like you have nearly there it is actually enough room for a rodents limber body to squeeze underneath. There bone structure is very flexible, similar to that of a weasel or a cat and they can fit themselves into impossibly small spaces including the gaps between your door. Search your local hardware store for something called a bristle strip, which is a sort of unpleasant spiky area that they will not want to cross under your doorway. Drainage pipes are a common entry point for mice, rats, squirrels, chipmunks and other small animals that can get into your home. Home Depot should carry wire balloons and mesh covers which are used to block off the end of the use drainpipes. Make sure you will observe proper safety procedures when climbing up on a ladder and getting into your pipes. If you are at all not sure about this at all, please contact a professional and have them look at it for you. It’s not worth getting yourself heard over so proceed with extreme caution. I really hope that the technology for these gets better in a few years, because this is the most humane and would be my preferred method of dealing with pests if it actually worked. Long story short, they don’t really work, so for the humane and live side of things, the cages are still the best mouse traps. 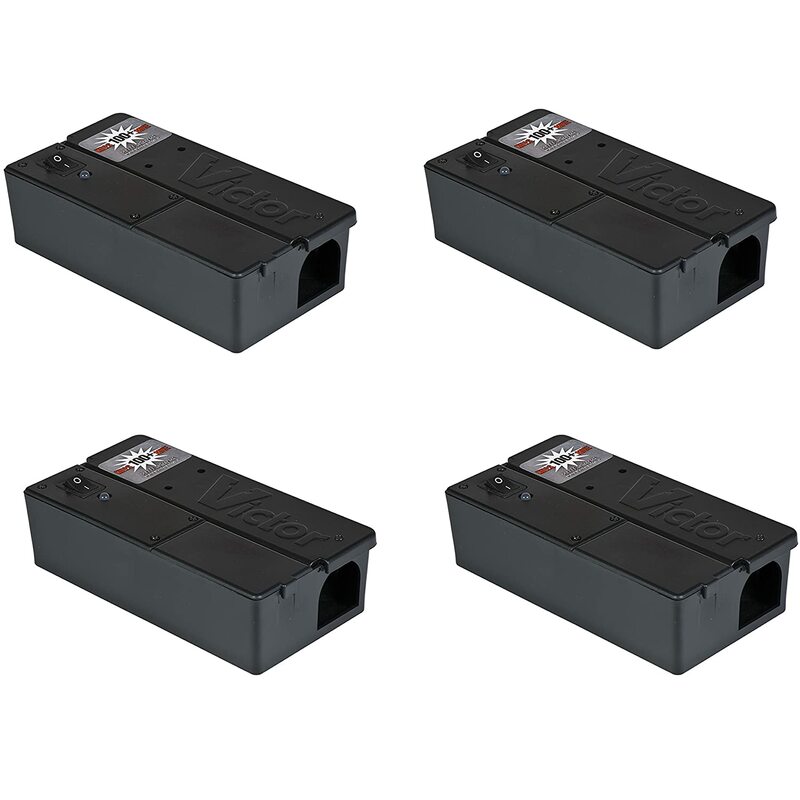 The way these things work is that they plug into the wall, you purchase several throughout the home and try to place them near outlets close to possible entry points where the intruders are coming in. The device emits an ultrasonic frequency which is silent and nonoffensive to humans, but extremely repellents to certain small animals. I’ve actually heard great things about how these work with and some other insects, but the general feedback for mammals is that it does not work. I guess this makes sense, because if a rat could hear it then it would probably drive your dog crazy as well, which would just be plain mean and something that I would not want to do. This ultrasonic frequency just keeps them away, no killing involved and no dealing with the unpleasantness of emptying a live trap and releasing your attached. Just set it and forget it, and you’ll never find another mouse inside her home again. See what I mean? If only it worked that well this would be the ultimate option. You are absolutely free to go out and try these out by yourself, I would highly encourage it. Please let me know if you have a different story than what most experts have found, maybe there is a certain way of placing them in a certain configuration that would be effective. Again, I feel like this technology has hope so if those smart scientists can just tweak it a little bit more to make it effective I would be a buyer for life. These non-traps would be the best mouse traps ever, in my book. If you are an animal lover such as myself, and you have ever seen a mouse up close it’s hard not to feel like they are a furry, soft, and even cute little animal. It really kills me to have two dispatch these creatures as I would rather live and let live and not cause harm to any living thing that just happens to enter my home in search of food or a better life. The sad fact is that domesticated mice that people buy at the pet store are different than the wild counterparts that are responsible for investing your home. Wild mice are actually more prone to carrying diseases that can be harmful to the humans in your home. Remember the black plague? Actually the breeds that are around today do not carry this particular strain, but there are still disease agents that they leave behind which can make you very sick. Ringworm is a major concern, and is very common among wild rats. If you have small children or the elderly living in your home, with compromised immune systems, the dangers still can still be very real even in modern times. Rodents usually move into homes during the fall in the winter during colder times, although they are most active in their mating seasons and the spring and summer. Therefore, they can be a problem no matter what time of year it is and any good exterminator worth their salt will let you know that their business is humming along 365 days due to this. Wild rats, while dangerous through the diseases they carry, should not be feared for their actual nature itself. You will never find yourself being attacked by a rat, no matter how giant, gross and scary it might seem to be. Rats are much more likely to run away and hide then to actively go after something as large as a person. They have very poor vision, so this is one reason why we can actually run into ‘close encounters’ with them. They would rather not come in contact with us at all, but sometimes they are so near-sighted that they live in their own world and do not even see us. They are also most active in the dusk and dawn hours, even though they don’t have very good night vision, so this can lead them ‘bumping’ into objects and even people as they scurry from place to place looking for their next meal.